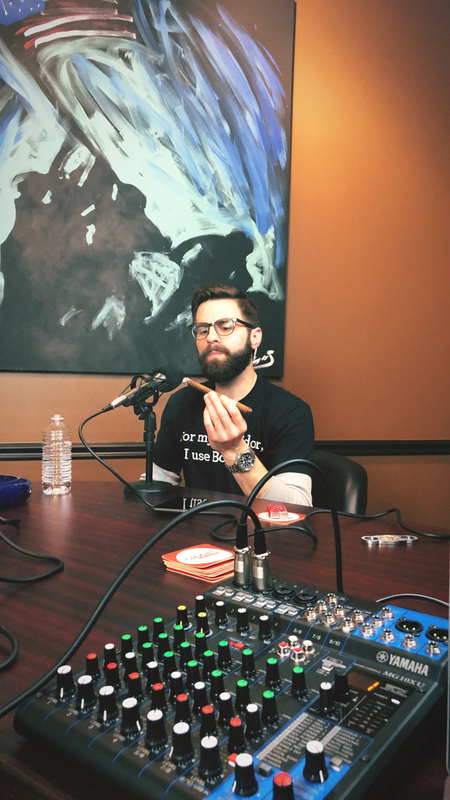 Boveda’s Luke Chase tells you how to build your customer base, create brand loyalty and sell more products through podcasting. 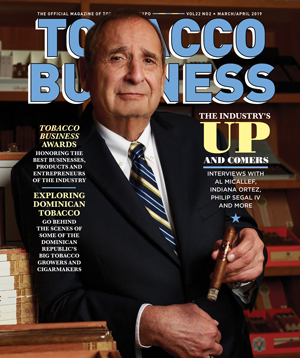 For many tobacco businesses, storytelling is a powerful sales tool. 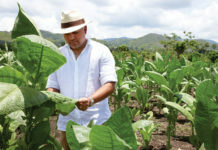 Whether it’s the tale of a family with deep roots in the tobacco industry or an ordinary entrepreneur who wanted to turn a passion into a profitable business, the practice of sharing information over a cigar, pipe or cigarette is common. So what happens when the product you’re selling doesn’t necessarily have an interesting or engaging story to tell? It’s a problem that Boveda faced and chose to address with a creative solution. 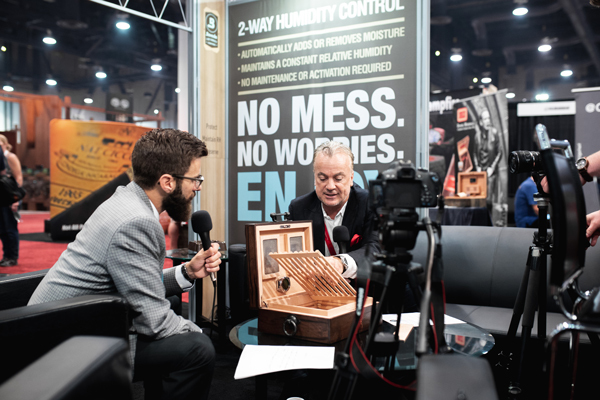 Boveda provides a glimpse behind the scenes of “Box Press” and shows other tobacco businesses how easy launching a podcast is and the big gains your company can reap by broadcasting your passion and telling your stories to your customers. 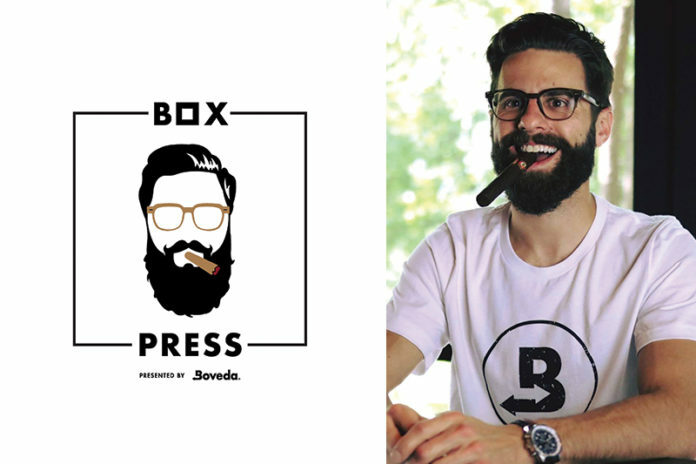 The production team behind “Box Press” are all Boveda employees. There’s no outsourcing, meaning the company only has to invest time in creating and maintaining the podcast. Rob Gagner, an account manager, serves as the host; Chase is the producer of the podcast; and Ramsey Cronen is the video content creator. The team also works with Boveda’s vice president of marketing, Dan Cleveland, and its graphic designer, Briana Schepper, to put together and promote each episode. Video plays a big role in Boveda’s overall marketing plan, so “Box Press” video must fit smoothly into the company’s day-to-day marketing workflow. The podcast fits into Boveda’s overall brand mission: to maximize people’s passion. 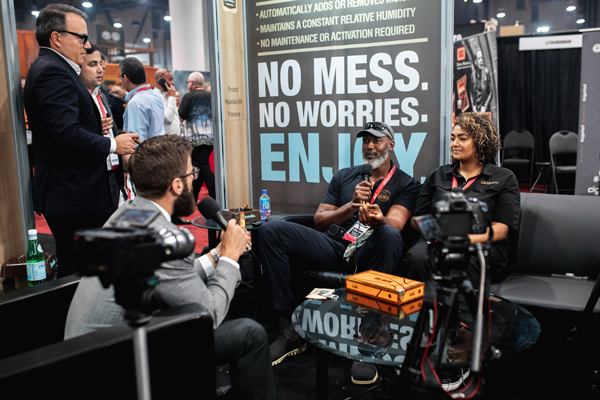 When it comes to “Box Press,” the team knew it wanted to help maximize people’s passion around the entire cigar lifestyle through engaging conversations and content. Instead of pushing its products on the show, the team designed the podcast to serve as an advocate for Boveda and help fuel listeners’ passion for and loyalty toward the brand. With much of today’s marketing moving toward live content and videos, Boveda’s executives have recognized the important role the podcast plays within the company and how it’s enabling the company to engage with its audience through a medium that they are active and interested in. The biggest challenge faced in creating new episodes for the podcast is creating enough structure to ensure that each episode is engaging for the listener but also flexible enough to allow for the conversation to develop and take shape naturally. 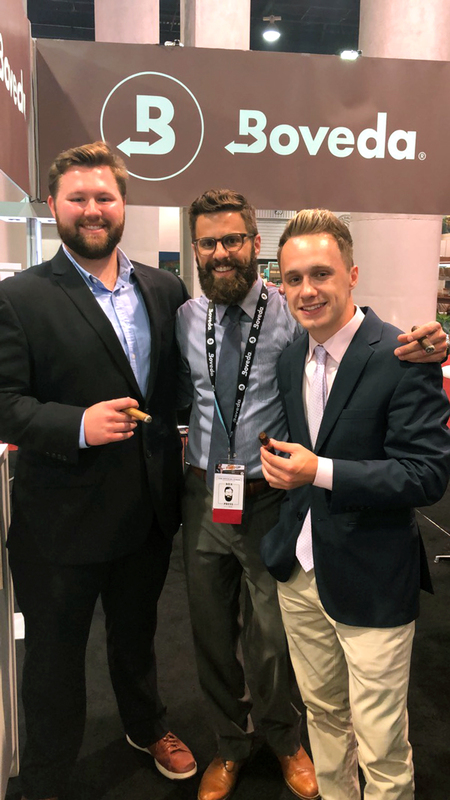 For guests that appear on the podcast, the Boveda team relies on the relationships that the company has built within the industry over the years. Gagner typically researches each guest ahead of time in order to learn what motivates and interests them. 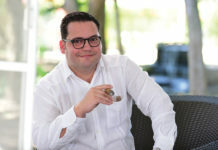 When the interview for the podcast takes place, Gagner aims to explore the motivations underlying people’s decisions and preferences within their cigar lifestyle. Chase attributes Gagner’s experience with cigars and his authenticity to the show’s high quality and its success thus far. When it comes to the actual process of putting together the podcast, the setup is simple. The team uses microphones, a mixer and a laptop to record each episode. Cameras (three of them) and lights are occasionally used. Software-wise, Logic Pro X is used to edit the audio, and Adobe Premiere Pro is used to edit the video. To host and distribute episodes of the “Box Press” podcast, Boveda uses a service called Libsyn, which creates an RSS feed to stream episodes of the show. Libsyn also distributes this feed to different platforms, including Spotify, Google Play and Apple Podcasts whenever Boveda releases a new episode. As with any sales or marketing tool, there is the question of return on investment and the impact of the podcast on actual sales. Chase, however, cautions against measuring the value of any podcast in monetary terms. Instead, he suggests viewing it in terms of customer loyalty. For any tobacco business that is considering launching its own podcast, the key is to use the program to grow your customer base’s loyalty to your company as much as possible. Customers are the most valuable asset of any business, and through a podcast you can help build loyalty and awareness for your brands and products. A podcast is also a great sales tool for showcasing your expertise in a certain area or industry. You only need to adhere to three rules in order to ensure your podcast finds success and an audience: Be authentic, keep your audience’s interests in mind, and start recording today.